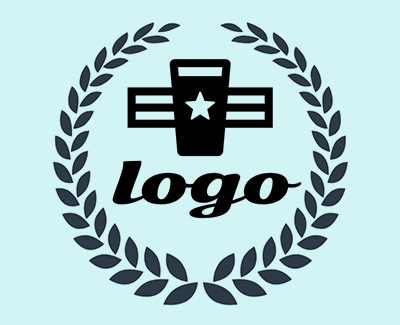 PearlMountain provides an online logo maker – DesignEvo free of charge. There are over a million icons as well as hundreds of fonts and shapes available. Once you enter the app, popular searches are displayed under the icon search panel such as computer, Facebook, sale and technology. With a click on the desired icon, you can add it to the editing canvas and customize it at will. Each icon can be scaled, flipped, rotated and coloured. Born colourblind, William lived his whole life in back and white. For his 66th birthday, his family decided to pitch in together to buy Enchroma glasses that have colour correcting lenses that help the colourblind see colour. This video is his expression to opening his gift and witnessing color for the first time. Apple announced three new iPhones yesterday, along with a 4K Apple TV. 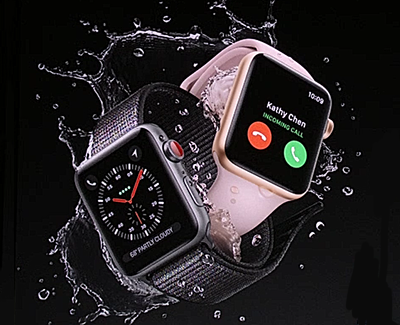 All of them are lovely pieces of technology, but its most interesting announcement was that it has made significant improvements to its Apple Watches, with its top model now possessing cellular connectivity. You’ll now be able to take and make calls from your Apple Watch Series 3, and it’ll use the same number as your iPhone. You’ll also be able to stream music thanks to the cellular connection through Apple Music directly from your wrist. There’s a new S3 dual-core processor delivering 70% more performance than the previous chip. This means Siri can now talk through the built-in speaker, reading out useful information without you needing to look at the display. There’s a new W2 chip for wireless connectivity, including an 85% boost to Wi-Fi performance and 50% increase in power efficiency for Wi-Fi and Bluetooth (v5). An altimeter is now included. This means elevation data can now be obtained, which is great for runners, cyclists and skiers alike. It also means the Apple Watch Series 3 will detect the flights of stairs you climb, useful if you need the added motivation to take the stairs in lieu of the elevator. The display is the antenna for LTE and UMTS, which is a clever feat of engineering when many antennas are integrated into the strap making them stiff and uncomfortable. The Apple Watch Series 3 will also use a e-SIM, which also cuts down on the size. This means the Apple Watch Series 2 and Series 3 are almost the same size. The Series 3 will start at £329 for the GPS model and £399 for the cellular + GPS option. The Series 2 will drop to £249. 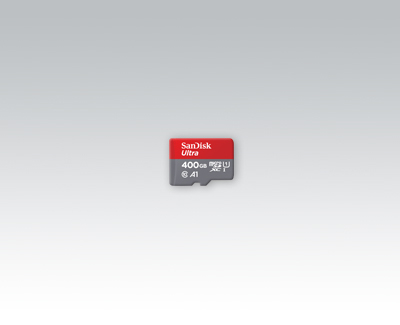 The 15 x 11 x 1mm SanDisk Ultra MicroSD UHS-I 400GB card is Class 10 rated and offers transfer speeds of up to 100MB/s. It carries the A1 Application Performance rating, meaning 10MB/s writes, random read IOPS (Input/output operations per second) of 1,500, and write IOPS of 500.